My very first Malabrigo! Yes, I know – it sounds crazy, but I’ve honestly not owned any before now. It’s lovely stuff, though, very soft and squishy! (But not “yummy”, Bezzie – I’m trying to stop using that one so much. 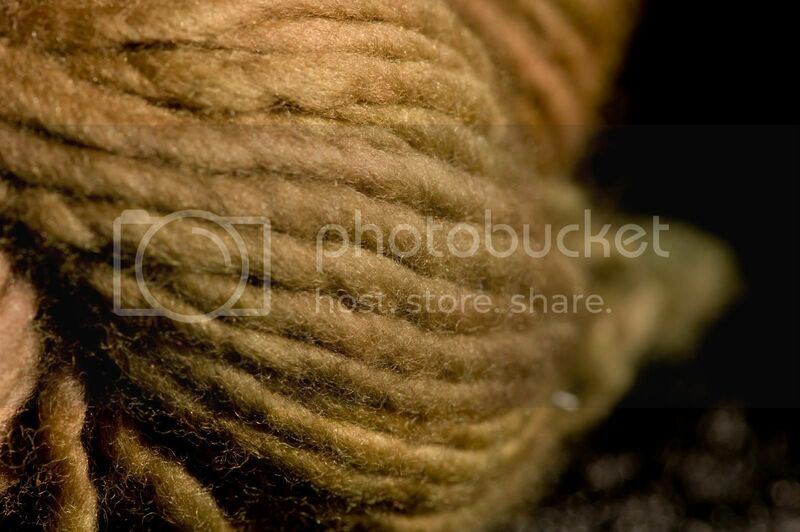 😉 ) This is the “Dark Earth” colorway, and the three skeins I picked up are destined to become another Calorimetry (Oh, yeah. I made one out of Paton’s SWS. I just haven’t gotten a picture yet.) 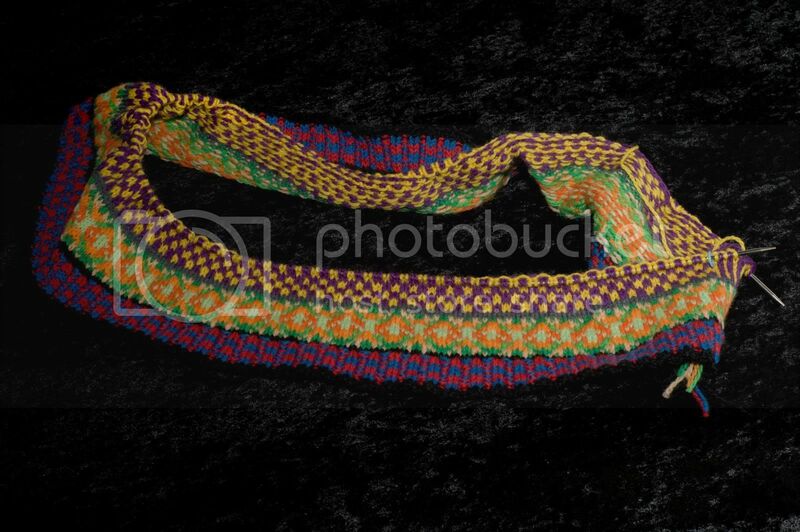 and a My So-Called Scarf. 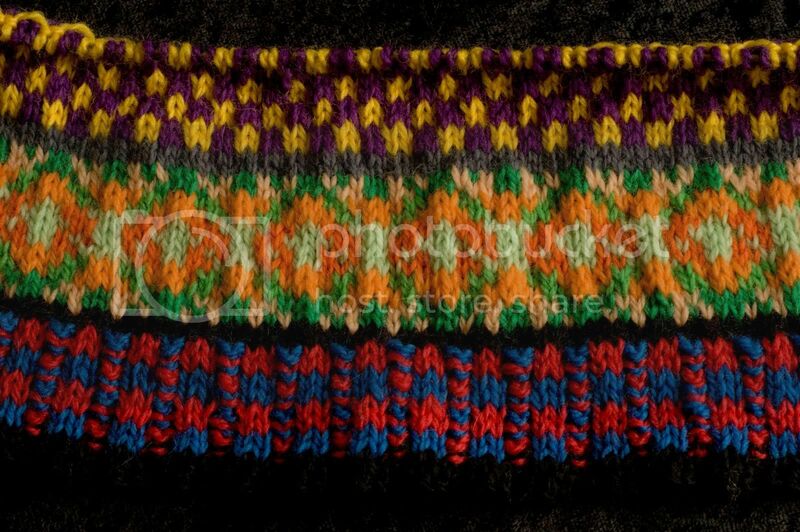 If there is enough yarn left, I will probably also make some wristwarmers. Following along in the same color scheme, I picked up some Artyarns Ultramerino4 in color 105.Very soft stuff, which will be (of course) socks for me at some point. Once again, Happy Friday, all! 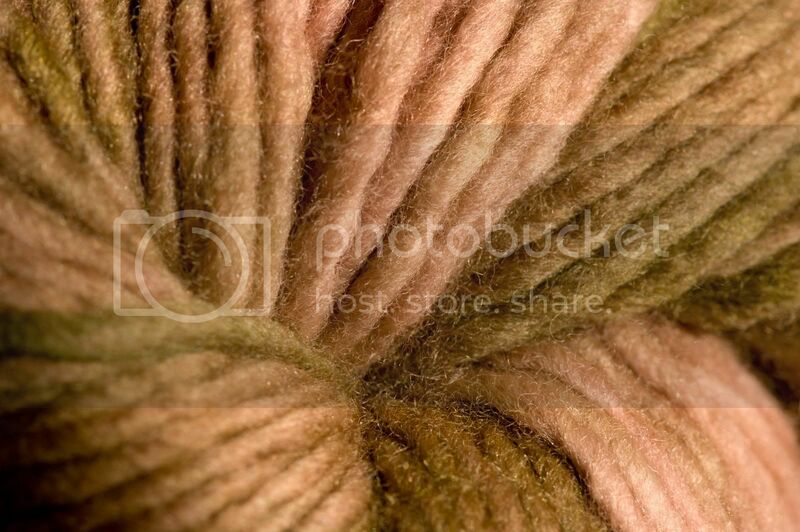 February 8th, 2007 | Tags: KALs, Knitting, Planned Projects, WIPs, Yarn Pr0n | Category: Misc. LOL. Thanks for the tip on souvenir yarn! And that fair isle still has my head spinning. Amazing! Great to see you today. Your fair isle looks stunning so afr. That Dark Earth color is beautiful! Can’t wait to see the finish projects with it. Lovely sweater. That is so impressive! Souvenir yarn is one of the best kinds! ooh, I love your earthy colors with the pinks mixed in. Love your fair isle. I can’t wait to see more wip pics! Cool how two totally different yarns still manage to match so well. Keep going on the fair isle — you’ve got a good start! I love the sweater!!! I am planning on right now (the Venizia sweater from IK W06) but it is still in the planning stages. Just the thought of the steeks are freaking my beans though. Very beautiful fair isle knitting Trillian! 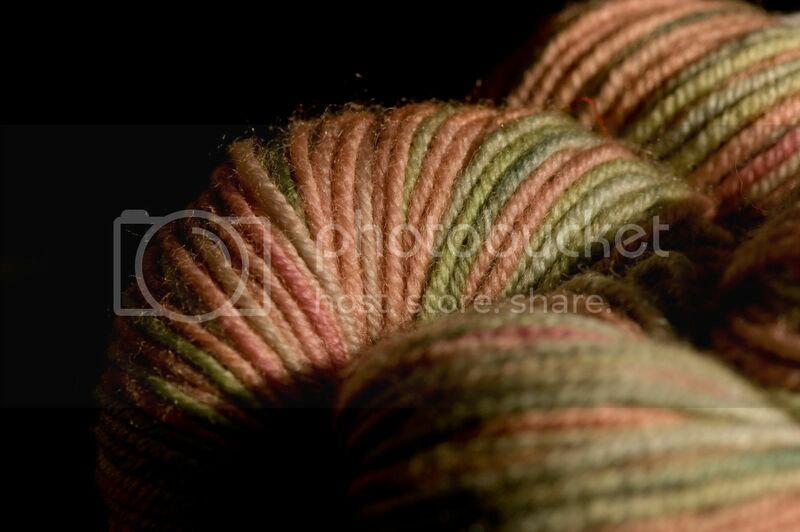 I’ve actually never owned Malabrigo, either – something I need to rectify soon! 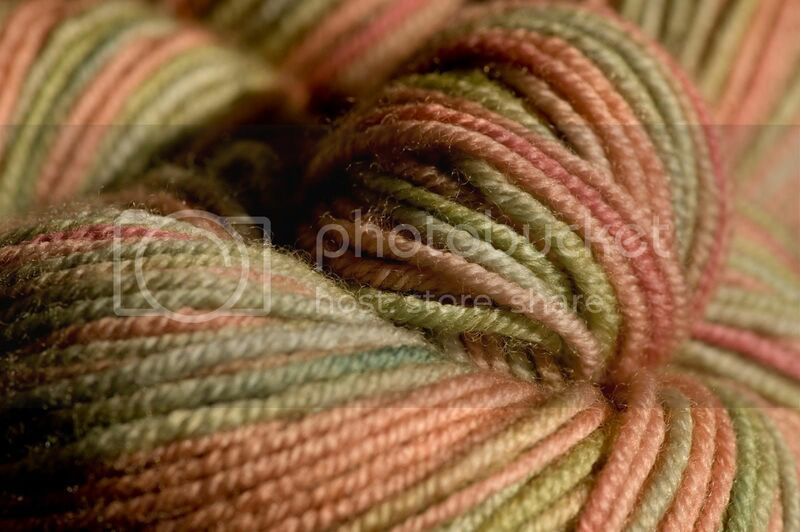 Yours is lovely, as is the Artyarns – really pretty colors. I’m also very impressed with the fair isle sweater. Don’t know that I’m for that challenge yet! Awesome, all of it. I can’t believe you haven’t fallen for the Malabrigo before. The fair isle looks vibrant, I like it. You’ll have to post pre- and post- steeks pics when you get to it. oops that was weird… it was supposed to say…. MMMMM pretty.. oh wait.. I was there! 🙂 Maybe I have the souvenir Malabrigo, since I’m not sure what I’m going to do with the color I bought. I am in awe of your mad FI skillz! I’m finishing up some socks and getting ready to cast on my own FI project. I think we have the same yarn for the My So Called Scarf..ho cool is that? LOL.. Your fair isle is “very nice”..it is quick isn’t it? Especially the fair isle looking part…it’s chant-able. Nice sweater. I love your yarn. No no, not yummy at all 😉 But still quite nice.